Farnborough Aerodrome - Air Traffic Control Frequently Asked Questions * Who is the operator of Farnborough Airport * Are all aircraft operating in the vicinity, operating in connection with TAG Farnborough Airport * What are the governing factors for runway in use at Farnborough Airport * Are aircraft movements regulated at Farnborough Airport and what are the current restrictions * Does the Section 106 agreement regulate the tracks to which permitted aircraft should adhere * Which aircraft tracks are monitored at Farnborough and how is this carried out * What are Noise Abatement Procedures * What are the current Noise Abatement Procedures at TAG Farnborough Airport * Who can initiate cancellation of Noise Abatement Procedures and why is this necessary * If Noise Abatement Procedures are cancelled, why are the conflicting flights not visible Q. Who is the operator of Farnborough Airport A. TAG Aviation own and operate Farnborough Airport through their subsidiary company TAG Farnborough Airport Ltd. Air Traffic Control is contracted to NATS Ltd, the biggest provider of air traffic services in the UK. Q. Are all aircraft operating in the vicinity, operating in connection with TAG Farnborough Airport A. No, TAG operated aircraft only make up a small percentage of aircraft movements in the Farnborough area. There is also a high volume of transient aircraft that operate in the airspace that surrounds the airport. There are also aircraft movements that are operated in connection with other airfields and airports in the area, eg. Blackbushe, RAF Odiham, Lasham, Fairoaks, Heathrow and Gatwick. Q. What are the governing factors for runway in use at Farnborough Airport A. Under normal operations the governing factor for runway use is the prevailing wind conditions. Aircraft preferentially take off and land in to wind. The prevailing wind in this part of the country is South Westerly. Farnboroughs runway is aligned along 060°/240°. Aproximately 70% of annual movements will use Runway 24 while about 30% will use Runway 06. Q. How are aircraft movements regulated at Farnborough Airport and what are the current restrictions A. TAG Farnborough Airport is regulated via the Town and Country Planning Act Section 106 Agreement which details various restrictions relating to the number and size of aircraft that can be operated at the airport. This Planning Agreement is between TAG (as the airport operator) and Rushmoor Borough Council (as the Planning Authority) The current restrictions state that no more than 28,000 movements per year may be operated, of which only 2,500 may be operated at weekends or on Bank holidays. Aircraft permitted to operate at TAG Farnborough are restricted to a maximum take off weight (MTOW) of 80 tonnes. A further restriction states that aircraft of MTOW between 50 and 80 tonnes must be restricted to 1,500 movements per annum. Q. Does the Section 106 agreement regulate the tracks to which permitted aircraft should adhere A. No, departure and arrival tracks are subject to approval by the Civil Aviation Authority which is the governing body. Q. Which aircraft tracks are monitored at Farnborough and how is this carried out A. ALL aircraft track are monitored and audited at Farnborough Airport. 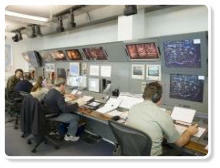 To enable this process a dedicated track monitoring system is operated. This system uses data from secondary radar combined with data from the Air Traffic Control movement logs to produce track mapping of all movements and their segregation in to departures, arrivals and non TAG operated flights (non TAG operated flights are those which are transiting the Farnborough Area but or not departing or arriving at TAG Farnborough Airport). The track monitoring system allows all aircraft movements to be audited on their compliance to the noise abatement procedures (detailed later), both in terms of track and operating altitude. Furthermore, this system allows accurate identification of aircraft movements from local resident reports. Q. What are Noise Abatement Procedures A. Noise Abatement Procedures are specific stipulations that are attached to the departure and arrival paths of aircraft in terms of track flown and operating altitude. These procedures are for the purpose of noise minimisation and therefore reduction of nuisance to surrounding residents. Q. What are the current Noise Abatement Procedures at TAG Farnborough Airport A. Noise Abatement Procedures are instructions to pilots that advise them how to approach and depart from an airport. They are published in the UK AIP for each UK airport. At Farnborough the current published procedure applies to R/W 24 departures only and states that “any right turn must be delayed until passing altitude 1800ft or 2.5miles from the airfield, which ever comes sooner”. Since May 2006 a trial has been undertaken that has changed these procedures. Please refer to the Quiet Flying Programme below. Q. Who can initiate cancellation of Noise Abatement Procedures and why is this necessary A. Farnborough Airport is surrounded by uncontrolled airspace where the traffic situation is dynamic. (Please refer to the Air Traffic Control document within this Environment section for further information) Cancellation of noise procedures can only be initiated by Air Traffic Control and is vital in order to provide the flexibility to separate aircraft on grounds of safety in certain circumstances. The high activity of aircraft operating from neighbouring airfields other general aviation requires safe separation from TAG operated aircraft to be ensured by ATC. In most cases this can be achieved whilst normal Noise Abatement Procedures are in force, however if proximity of non Farnborough traffic will reduce separation, then Noise Abatement Procedures must be cancelled on grounds of safety. Occurrences of cancellation are generally higher at weekends due to the increased activity of non-controlled glider and motor glider activity at Lasham and Odiham. Noise Abatement Cancellations may also occur due to proximity of severe weather conditions such as electrical storms. Q. If Noise Abatement Procedures are cancelled due to proximity of other aircraft, why are the conflicting flights not visible A. The standard separation of aircraft that must be achieved is five nautical miles. As a result of this safety requirement aircraft movements that give rise to the need for Noise Abatement cancellation may not be visible from the ground. Farnborough Air Traffic Controllers use both primary and secondary radar in order to monitor and control the traffic situation and safely separate aircraft.The following information is of a very general nature, as there are many different variables, caveats and exceptions which apply, and is meant merely as an introduction to the complex world of air traffic control.